Priyanka Chopra to Parminder Nagra, they’re making the world laugh, cry and fall in love with them, winning a few accolades and Emmys on the way. It’s the mid ’90s. Friends, Seinfeld, The Bold And The Beautiful and Law & Order, all starring white Americans, are ruling the international idiot box. Cut to 2015, and you have Bollywood actress and Verve power woman Priyanka Chopra headlining an American primetime show, ABC’s Quantico. She plays FBI recruit Alex Parrish who, in Chopra’s own words, is a ‘female Jason Bourne’. But, this desi girl is still not the first. From Parminder ‘ER’ Nagra to Hannah ‘New Girl’ Simone, women of Indian descent have played doctors, FBI officers, models, private investigators and more — a far cry from 20 years ago, when the only prominent Indian presence on a TV show was The Simpsons’ store manager Apu (voiced by a white actor at that). So what has changed in the past two decades — are Indians just the season’s favourite or can we soon see an all-Indian origin cast sipping on lattés at Central Perk? 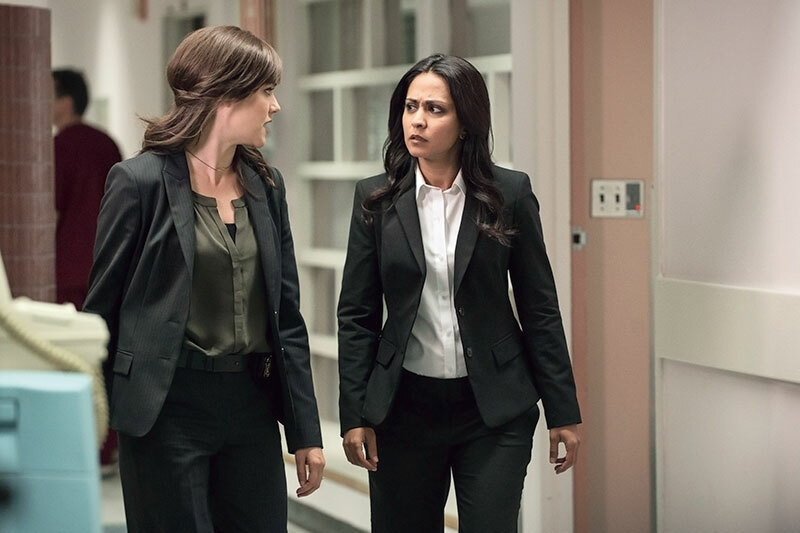 “During the year’s casting period for new television shows, there were a record number of roles specific to South Asian women, and a record number of lead roles explicitly stated as open to any ethnicity…roles that 10 years ago would have only been open to Caucasians,” says Melanie Chandra, an American-born actress of Indian descent and one of the leads on the fall-premiering series, Code Black. Today, it’s not hard to find actresses from the Subcontinent packing a punch on international TV shows — ask the Netflix generation to testify. Parminder Nagra followed up a great run as Dr Neela on ER with a starring role on the first two seasons of The Blacklist. 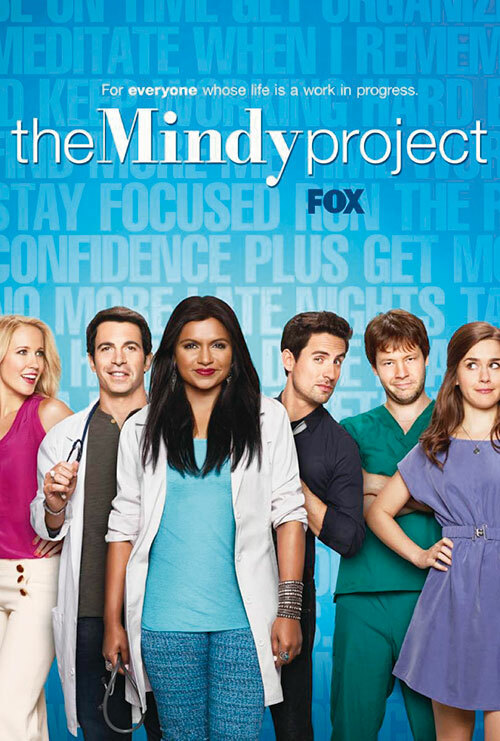 Mindy Kaling is ruling TV land with her series The Mindy Project, apart from writing and acting in other shows and movies, and authoring books. Indian export Tina Desai, who shared screen space with Dev Patel in The Best Exotic Marigold Hotel, currently stars in the Netflix series Sense8, written by the creators of The Matrix. American show Royal Pains, presently in its seventh season, has the British-American Reshma Shetty portraying the invaluable physician assistant, Divya Katdare. And The Lunchbox girl Nimrat Kaur displayed her evil side in the fourth season of Homeland. Most Indians in the entertainment business are letting the world know they can do much more than showcase the stereotypical sweater-wearing, funny-accented sidekicks. “The challenge is to find writers that create more dynamic roles for us to play — writers and directors who see our ethnicity as just one of our facets, but do not let that facet define the entire narrative of who we are,” opines Chandra. Playing Kalinda Sharma — a meaty role in The Good Wife, Archie Panjabi grabbed an Emmy Award — the Oscar of the TV world. Panjabi loved the character she got to play for six seasons on the show, and as she told Verve in an earlier interview, “If a character has immediate audience appeal, as did Kalinda Sharma, the creators have the opportunity to expand that character in a bigger way. Kalinda redefined the femme fatale and received a lot of love from fans and critics worldwide”. “Her winning the Emmy was a breakthrough moment for Indians on American television…Archie was amazing,” feels Canadian actress of Indian origin, Nazneen Contractor, who after roles on 24 and Covert Affairs, features in the mini-series Heroes Reborn as ‘America’s first Muslim superhero’. “I love seeing shows with Indians as leads on American television and I love to see them succeed. It only makes the scope of my career bigger and better,” she adds. Kaur too loved the chance to shine on an internationally-acclaimed series. “I found it interesting to be someone who’s on par with the lead of the show, in terms of strength and the way they were pitted against each other. She was the lead character’s nemesis from the beginning…it was a really crackling part. Playing such a villainess is a really important tick mark in one’s career,” she says about her portrayal of Pakistani agent Tasneem Qureshi on Homeland. That’s why people love Cece Parekh on New Girl and warmed up to Kelly Kapoor on The Office — they’re real people, as normal as anyone else, and girls identify with their situations, beliefs and lives. Whether in comedies, dramas or thrillers, Indian women are playing strong, prominent roles, and the world — and TV producers — are taking notice. As we see more Indian-origin actresses playing bigger, better and more exciting roles — some that don’t even have defined ethnicities — on TV shows and web series, we can safely assume that they’re going to be around for a while. And can we ever see a show with an all-Indian cast à la Fresh Off The Boat which is about Taiwanese-Americans or Black-ish that focusses on an African-American family? “The content of the show just has to be so good, so different, that it goes beyond the Indian diaspora niche and touches anyone who appreciates genius content…there is only for so long that stereotypes can maintain a show. But if you take those away — will it connect with mainstream audiences? Perhaps, but the writing and the production need to be really, really thoughtful,” explains Chandra. “I always want to exceed expectations and break stereotypes of what it means to be an Indian woman,” concludes Contractor. So though it may be a while before we spot a TV show with six Indian friends exchanging notes on their lives and relationships at a coffee house, we surely haven’t seen the last of familiar faces on international television. She co-wrote and starred in an off-off-Broadway satire Matt & Ben, a fictionalised account of the friendship between Matt Damon and Ben Affleck, in which she played Ben. That’s how writer, actor, comedienne, author, producer and director Mindy Kaling got her first big break. Kaling’s advice to the youth shows her understanding of contemporary thought: ‘It is very important to be expressive, but as a young person it is more important to be perceptive and sensitive. Listening to others and paying attention instead of putting such a premium on being able to say what you are feeling.’ She credits her own writing to that very quality — and it shines through in her ability to give a unique voice to even the smallest, most marginal characters she writes, from her own Kelly Kapoor on The Office to nurse Morgan Tookers on The Mindy Project.